At Roger’s Piano, we specialize in finding Bösendorfer pianos that were built in the era of true craftsmanship. Our customers often ask why we prefer “older” pianos for certain brands, including Yamaha, Bösendorfer and Steinway. Methods of preparing the pianos, quality of materials used, skill of piano technicians/factory workers, as well as current ownership/management of those manufacturers all play a part in our decision. Ultimately, we look at how an “older” piano by these particular manufacturers compare with their new productions. 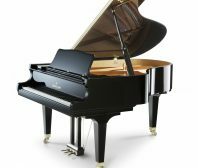 In order to offer the best quality pianos to our customers, we have to focus on the “older” pianos by these manufacturers. With the strict rebuilding quality we strive for, you will locate incredible finds on our showroom floor. We invite you to our showroom to play and hear these pianos in person! Sorry we currently do not have any Bösendorfer brand pianos in stock, please check back soon as our inventory is always changing!